You could chalk up Mt. Spokane's enduring popularity with snowboarders to its rapid addition of terrain parks in recent years. These are designated areas with jumps, slopes and rails — both natural and manmade, all of which fall under the blanket term "features" — where riders of various skill levels can attempt and perfect new tricks. In the past two years alone, the nonprofit ski and snowboard facility has built two such parks. The first is Progression Park, which Kristin Whitaker, marketing and mountain services manager, describes as "an introduction to freestyle." "It gets people learning tricks with low-consequence features, small jumps, low, easy rails. It's a really great place for people to learn and excel. And then they can take their skills into the big parks." The second and newest is Gnarwood Forest Natural Park. Situated among the forest conifers, it allows freestyle boarders to take advantage of the mountain's natural landscape — with the added bonus of some deliberately placed hybrid features such as logs and rails. But 10 years of Best Of wins don't come solely from new parks with cool features. It has to do with how diligently Mt. Spokane has worked to create a welcoming, inclusive culture for skiers and snowboarders. 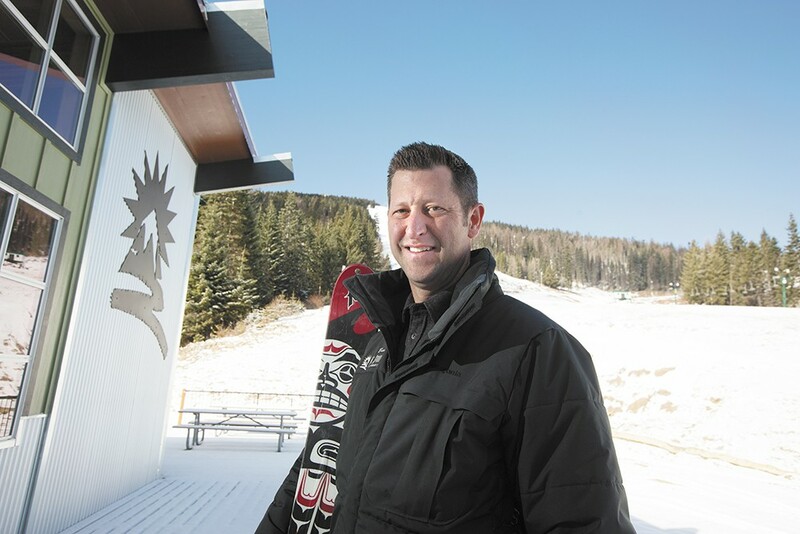 "Over the years, we've been putting effort into growing the snowboarding community up here," says Whitaker. "Mt. Spokane's philosophy as a whole is to introduce people to the sport of skiing and snowboarding. Folks are learning here and staying here. And we've got a really great partner in Spokane with Pistole Board Shop. He's helped us out quite a bit with developing these parks — even in terms of helping purchase some features and holding fundraising events for the park." That communal philosophy informs all of their activities. For instance, the park staff has a ubiquitous social media presence as well as a dedicated online hub where boarders can ask questions, request new features, share photos and get honest info about snow conditions. The accessibility and approachability has played a huge part in making riders feel at home on Mt. Spokane. Though the orchard itself has been standing since 1977, it wasn't until '92, when Mark and Arlene Morrell purchased the land, that its magic truly began to flourish. With their special touch, what was once a simple array of apple trees became an autumn haven for Green Bluff goers across the Inland Northwest. That haven is now known as Walters' Fruit Ranch. It's one of the many U-Pick fruit orchards situated in Mead's Green Bluff, but there's something about Walters' history, extensive selection of fruit and mouthwatering pies that call thousands of guests to its acreage every year. Closed from the beginning of the year until mid-June, it seems that more and more people spend that time longingly awaiting the annual Father's Day weekend opening. The Morrells themselves are without question included in this group. According to daughter-in-law and orchard co-manager Morghan Morrell, Walters' is the definition of a family business. "My in-laws really grew the business into what it is, adding a store and a café," Morrell says. "And now my husband and myself have really taken over the business." Morrell and her husband Jason, son of owners Mark and Arlene, met while working at the ranch and married in 2008. Since then, the two have expanded the orchard from fruit alone to pumpkins and even homegrown Christmas trees, which allow them to stay open to the public all through December. This expansion is respectable on its own, but when compared to everything Walters' was already offering, it's even more mind-boggling. 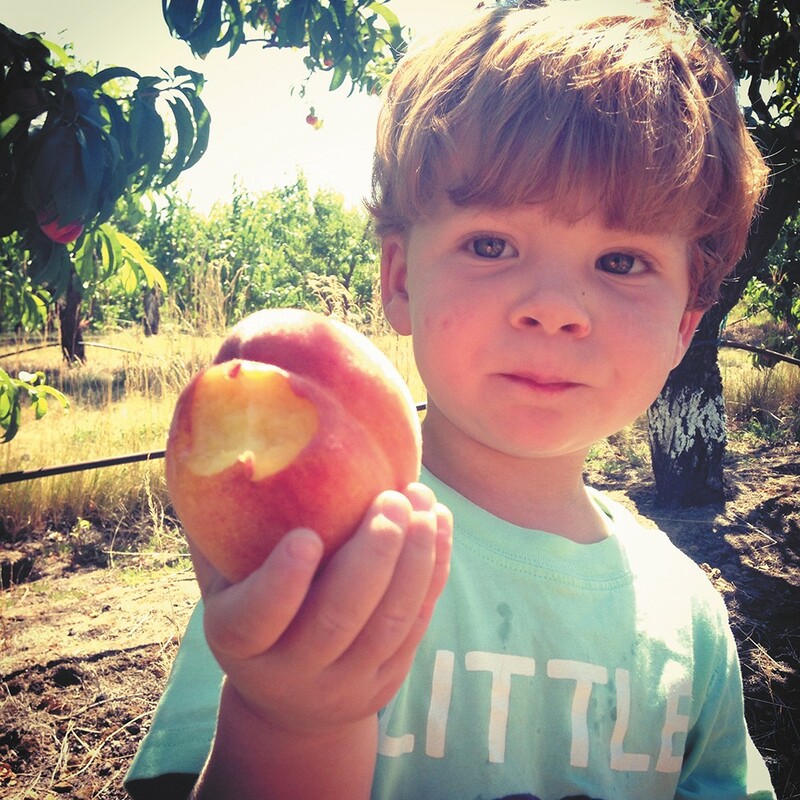 The family fruit ranch offers U-Pick cherries, peaches, strawberries, nectarines and pumpkins, plus 22 varieties of U-Pick apples. There is a full espresso café that serves famous huckleberry pancakes, Arlene's homemade take-and-bake pies in 27 flavors, and even an adult version of their already renowned cider. "The newest addition to our store is our housemade hard apple cider, which is made from our apples and run through our apple press," Morrell says. It currently can only be found at the ranch itself, but it's well worth the trip. Walters' offers customers a few tricks from up their sleeves, including a unique play area for children made up of dried peas instead of the typical sand, as well as a tractor-pulled wagon whimsically named the "Fruit Loop Express" which will drop guests off at whichever section of the orchard they wish to explore. But for Morrell, Walters' is as special as it is because it needs no gimmicks. The Flying Irish: where runners meet each other. At first gander you might be intimidated by the Flying Irish's weekly Thursday night runs. With between 400 and 500 people surging down the Centennial Trail, it's hard to imagine making friends. However, the reality is much different. 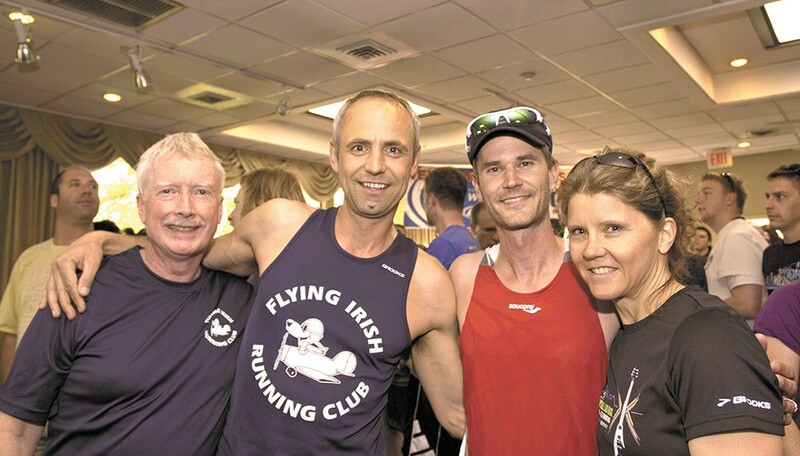 For the past 10 years, the Flying Irish running club has provided like-minded Spokanites a weekly gathering place. In recognition of that fact, Inlander readers selected the Flying Irish as Spokane's best running club. Cassie Dickerson's story exemplifies the club's impact. When Dickerson moved to Spokane in 2010, she hardly knew anyone. Her sister, an avid local runner, suggested she join the Irish. "I'm not super fast, so I was looking for a way to keep running and stay motivated," she says. Dickerson says she was intimidated at first, but just kept showing up. Soon she found herself immersed in a loving and supportive running community. "We have people that are extreme elite runners to people who walk," she says. "We have ages from 10 years old to 80 or 90." Dickerson even met her husband, Tim, at a post-run event. Now he's an avid runner. Their story is typical of the Flying Irish. While it might not be marriage, lasting and meaningful relationships are formed regularly. Now Dickerson is the volunteer coordinator. Her job, she says, is to focus on giving back to the Spokane community. 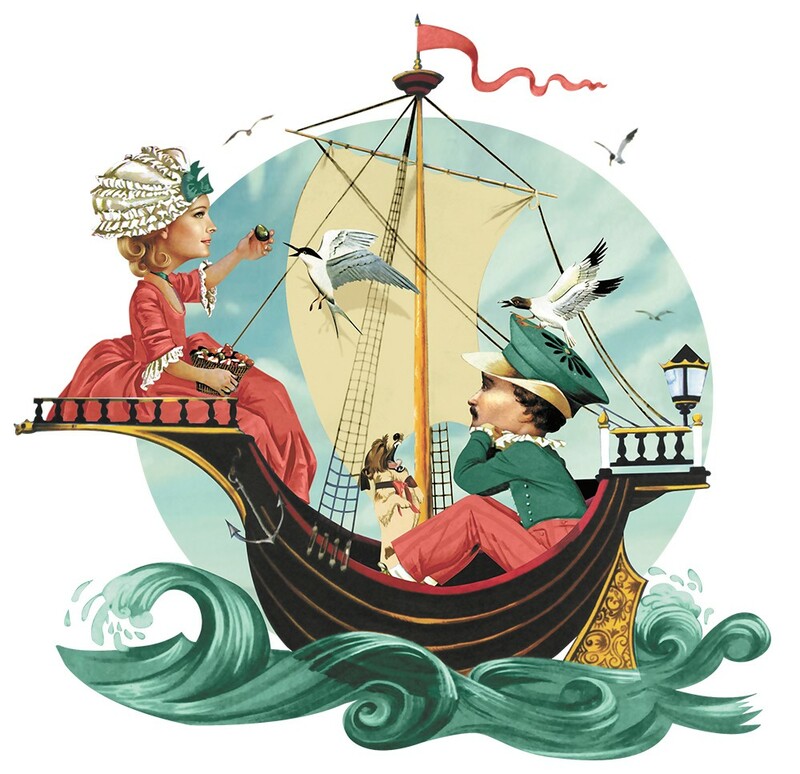 Flying Irish volunteers have worked Bloomsday water stations and other local running events. "Hopefully this year we can do quite a bit more," she says. Club president Brendan Dowling started running with the Irish in 2007. Like Dickerson, he says he didn't know a soul in Spokane. Years later, he's intimately connected to the community. "Basically, the general philosophy is just to make running fun, and just trying to make a social community based off running," says Dowling. He believes that spirit of inclusion has earned the Flying Irish running club its reputation and the Best Running Club designation.